Here we are again, with another #ACIMonday! This week I’ll be giving an overview on some of the basic constructs in ACI. These aren’t necessarily new concepts if you’re familiar with networking and data centers or private/public clouds already. We’ll be talking about tenants, VRFs, and bridge domains. A tenant is basically a logical separation between two things. For example, if you were going through a merger, while you’re migrating you might separate the two companies, at least in the beginning by using tenants. That way, different IT departments can become tenant admins (via RBAC) and still run their own IT systems as they continue to merge into one. There are many more use cases, for example if you’re providing a cloud service to end users and you want to separate either companies, or departments, or even geographic locations. We then move on to VRFs. VRF stands for Virtual Routing and Forwarding. It allows us to basically put one or more logical routers in a physical location. 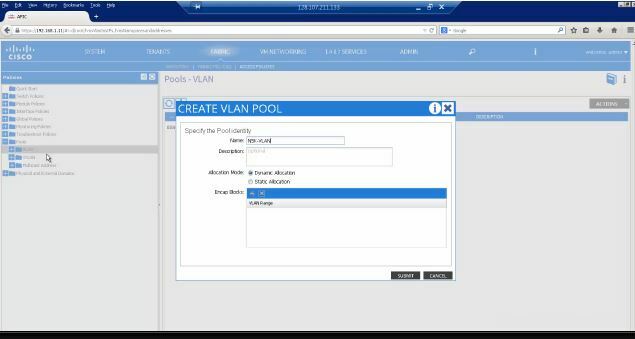 With ACI, we think of the fabric as one big router or switch and we can include VRFs for separate routing tables. And finally bridge domains, which are containers for subnets. Watch the video below for how this all fits together and make sure to subscribe to the YouTube channel as new videos will be coming out all the time (including some demo videos which is what we all really want to see). If you have any feedback please contact me on Twitter @Malhoit, and we’re always looking for ideas for videos!